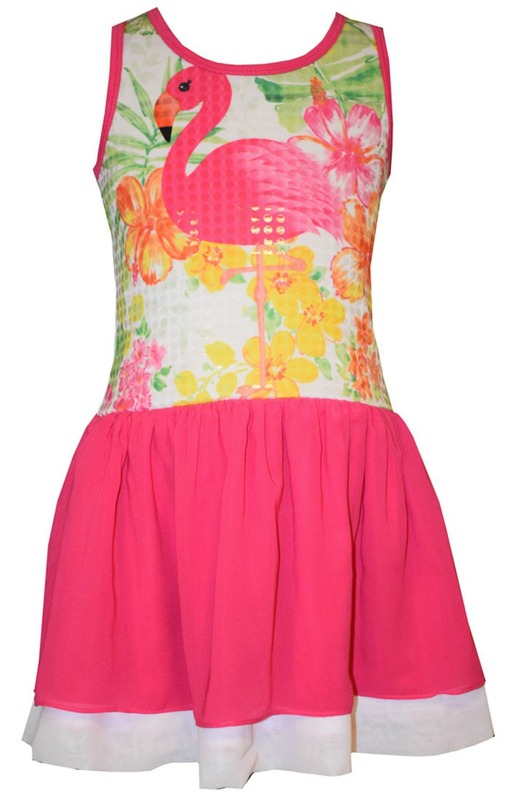 Fabulous girls knit racerback with sequined placement flamingo print bodice to chiffon skirt. Machine wash. Imported.